A purchase of any amount can gain you the corresponding Magic Keys, as well as Magic Chests to send to the Guild Chat for your Guildmates to claim. For each player, each type of Magic Chest can be sent once per day. You need Magic Keys to open Magic Chests and receive awesome rewards. 1.For each player's Magic Chests, each Guildmate can claim only once. 2. The Magic Chests will disappear in 1 day since being sent to the Guild Chat. Please claim them in time! Event Content: A multiplayer event that encourages you to get higher titles and better rewards! Hello leaders! 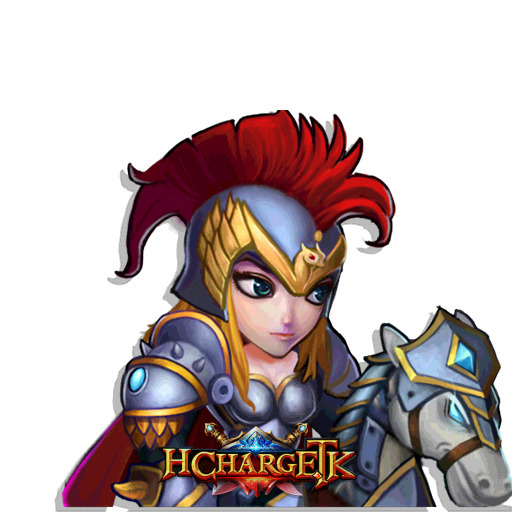 Thank you for supporting Heroes Charge. Don't forget to like and follow our official Facebook. Great rewards and events are waiting for you! From 2019/4/23 5:00 until 2019/4/26 4:59, Crashed Hill, Cursed City and Valkyrie Showdown in Trials, as well as Tidal Temple and Dwarf Arsenal in Time of Rift will all be available. Event Content: Players of Team Level 10 or above will receive Accumulative Rewards from Mailbox when they login every day. During the event time, players can earn 1 score for every 10 gems they consume. Scores can be redeemed for rewards. During the event time, players will receive 50% bonus Stamina when they spend Gems on Stamina. Event Content: Players will receive corresponding rewards when they purchase a certain amount of Gems everyday. During the event time, the first purchase everyday will reward you another amount of purchased basic gems via in game mailbox. But it does not include VIP points. During the event time, players can purchase rare items in the shop. The shop refreshes at 21 PM. Event Content: Players will receive Fortune Coins from Login and Purchases. You can spend the Fortune Coins on spinning the Wheel of Fortune! From 2019/4/19 at 00:00 to 2019/5/02 at 23:59, the production of Lumber, Ore and Mercury in War Hall is increased. Event Content: During the event time, players can use Magic Hammers to smash Eggs and gain rare items. The Eggs refresh everyday at 12 AM. During the event time, players will receive corresponding rewards when they make a purchase for a certain amount of days in a row. Event item used to redeem Werewolf-Wolf Grandma Skin fragments. During the event time, players can receive Magic Fairytale Book when using Werewolf to participate in all the battles (NOTICE: Raiding does not count). Event Content: During the event time, players can receive 2019/4/19 from Normal and Elite Compaign. It can be used to redeem rare items from the Super Sale Shop.